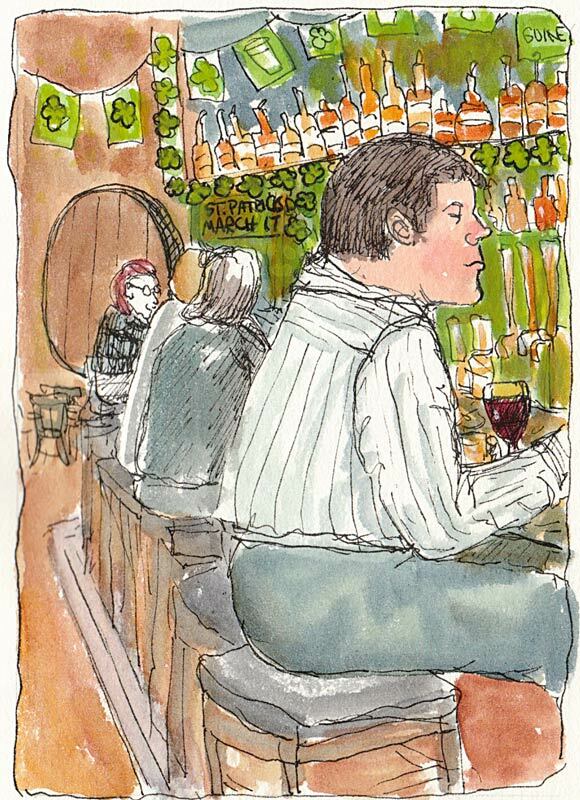 Spengers was decorated with green shamrocks when our Urban Sketchers group met there on a Tuesday before St. Patrick’s Day. Other than all the green, it was business as usual. I love the way cellphones keep people engaged and posing like this guy at the bar, even when drinking. Spengers has a huge collection of ship models and other sea-themed objects on every wall, ceiling and in every corner. I drew this standing in front of the display case, trying to stay out of the waiters’ path. 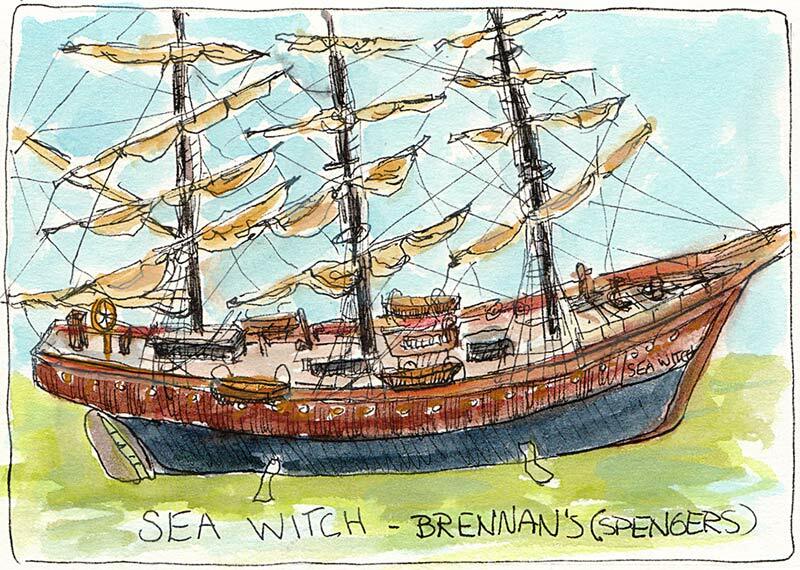 And as usual I incorrectly labeled the sketch “Brennan’s” — a nearby bar and restaurant that I always get mixed up with Spengers. Very festive! And the ship is wonderful. I recognize the guy at the bar. Tuned out and missing life! Glad you enjoyed the prelude to St Patty’s Day. We had corned beef at home last night and then hit our local Irish pub – the Blarney Stone – for lunch today. Nice work. Your sketches are great!